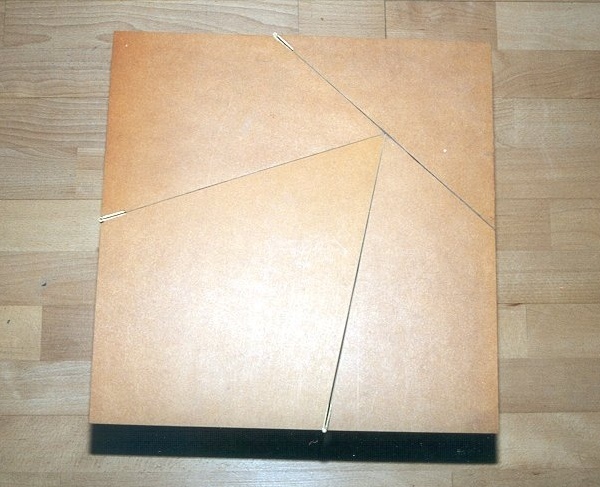 This looks like an ordinary square coffee table, but note the cuts and the three hinges. 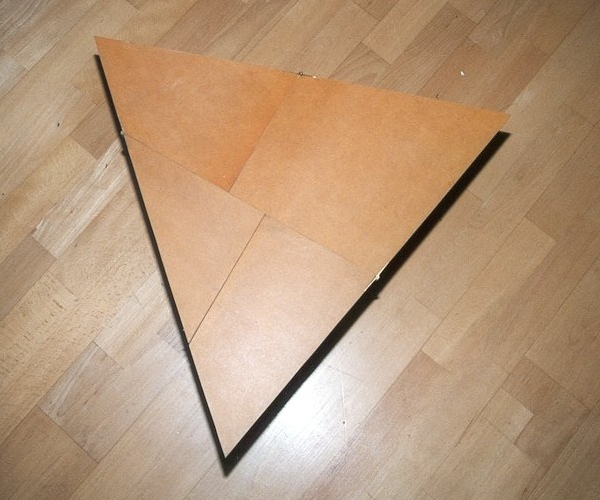 The table instantly transforms into an equilateral triangle, which is handy if you don’t know how many people are coming over. This bottom view shows the structure. 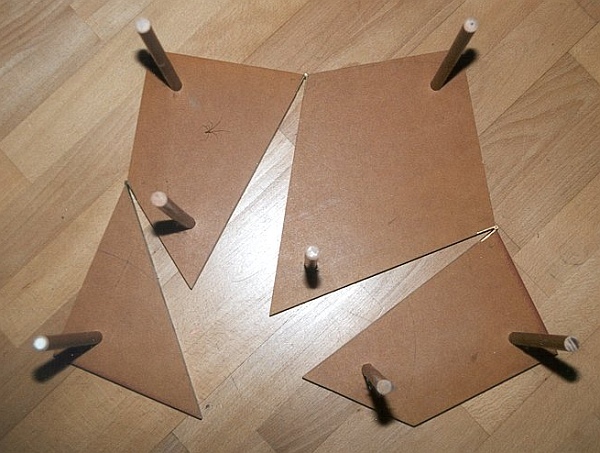 The seven legs are positioned to support it in each corner, in both the square and triangle configuration. Greg Fredrickson describes how Jan de Koning constructed it for Joop Van Der Vaart, based on a suggestion of Howard Eves, that derives from the original 1903 dissection of Henry Dudeney. This article first appeared on Make: Online, April 4, 2011.